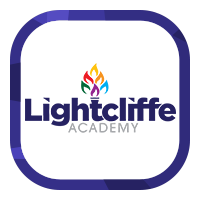 Lightcliffe Academy is a very busy school with very busy break times, and it can be quite daunting to students coming from smaller primary schools. The main difference is the range of choice available. This information will let students know what is available, when and where, so we can provide the best service possible. Most of this information will be given out to new students on transition day. Please be aware that the transition day menu will not be the same as our regular offers. Lunch from 1.20pm to 1.55pm. We have a large selection of hot and cold food to choose from - We have a main meal counter, a pasta bar, a chicken bar and a deli bar selling sandwiches, wraps and paninis, plus a curry bar. We recommend students familiarise themselves with the different counters at break and lunch so they know what is available and where. Meals are paid for using a swipe card system. This must be topped up online (ParentPay) or using PayPoint. Please ensure your child has enough credit on their card to purchase food each day. Students are set with a daily spending limit on their card to prevent them spending all their money in one day. This limit is currently £4.00 per day however this can be changed at your request. Please contact the school office if you wish to change your limit. Parents are requested to speak to their children to ensure they do not overspend on their card. We frequently have students spending too much at morning break, who then do not have enough money to buy a lunch. Students should have their cards ready when they come to the tills, they should also ensure they have enough credit on their cards before they order, to avoid food being wasted. School friendly soft drinks are available to buy, there is also a water cooler in the main hall; students need to have a water bottle in school at all times. We want all students to enjoy their food and eat a healthy meal every day. We have a daily meal deal that allows students to purchase a main course plus dessert or a bottle of water or a biscuit with unlimited vegetables for £2.60. This price corresponds to the daily free school meals allowance. Steve, Vicky and the catering team are proud of the quality and variety of food we produce and hope all students enjoy what is on offer. All our food is produced using government guidelines in conjunction with the Children’s Food Trust. If you have any questions or worries please feel free to contact the school and ask for the Catering Manager. We operate a four weekly menu cycle which changes twice a year to reflect the season. 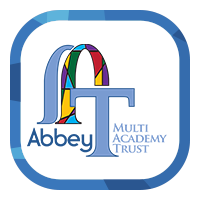 We work in conjunction with the School Foods Trust to ensure our menus are fully compliant with standardised nutritionally analysed recipes, plus we meet all government guidelines on food provision within schools.